Did you know Roald Dahl was a local? There’s plenty of parts of the city named after him or that make reference to him. 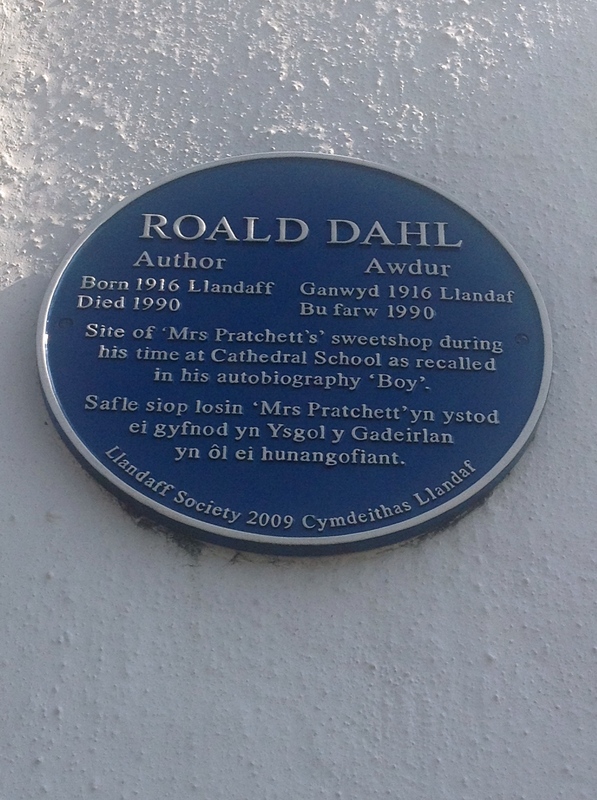 So we sent writer Katie Hamer out in search of Roald Dahl’s links to Cardiff. To reiterate the words of Dorothy in “The Wizard of Oz”, ‘there’s no place like [Cardiff]’. Well, not quite what she said, but if I were to click my shoes together in Oz, and return to anywhere, it would be this lively city. I’ve lived in many places, including Swansea, Milton Keynes, and central London, but never anywhere as friendly as here. With very little effort, you can strike up a conversation with almost anyone. Another thing I love about Cardiff is that it is full of surprises. Indeed, I learn something new every day. Just last week I discovered that the late great Roald Dahl had links here. I learned that he had been born in Llandaff, and spent his earliest, most formative years in the city. This was a complete surprise to me. 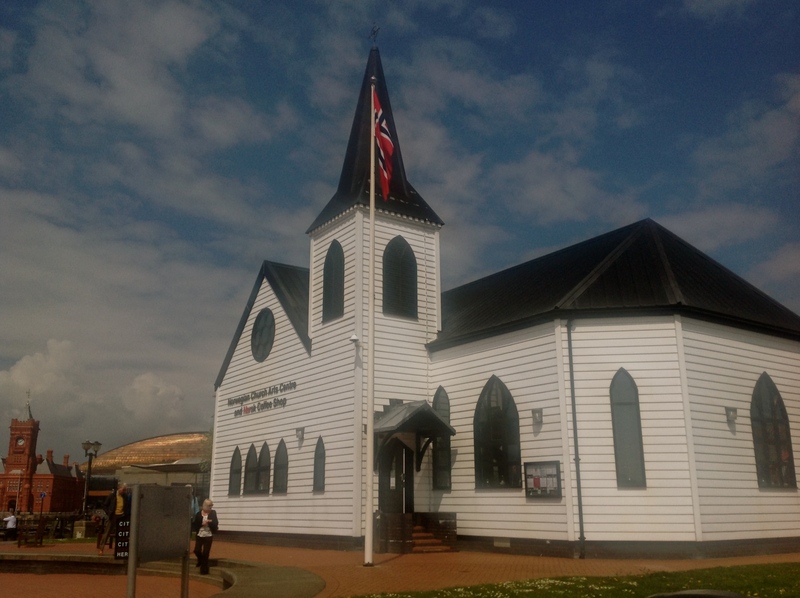 On making my discovery, I decided to visit places Roald Dahl would have known, starting off with the Norwegian Church, where he was christened in 1916. Dahl’s parents were Norwegian, and worshipped there in their native tongue. Drawn to Cardiff by the shipping trade, exchanging logs from Scandinavia for coal from the Welsh Valleys, his parents became part of a vibrant Norwegian community. I was very fortunate to have met Roald Dahl, when he attended my school speech day in 1989. I remember him sitting on the corner of a desk on stage, saying that our teachers were hoping he’d give us all a history lesson, and he wasn’t going to disappoint: he was to give us a history lesson on chocolate. He had many curious insights into the subject, including how ‘Maltesers’ were originally called ‘energy balls’ and were targeted at dieting women. Not only did he have an incredible sense of humour but he was also good natured and approachable. I couldn’t say for sure if living in Cardiff made him into this kind of person but, looking around me, I can see these qualities in abundance. What is clear though, is that Roald Dahl’s lifelong love of confectionary began during his early childhood, a love that inspired one of his most influential stories. Interestingly, it’s 50 years this month, since the publication of “Charlie and the Chocolate Factory”. 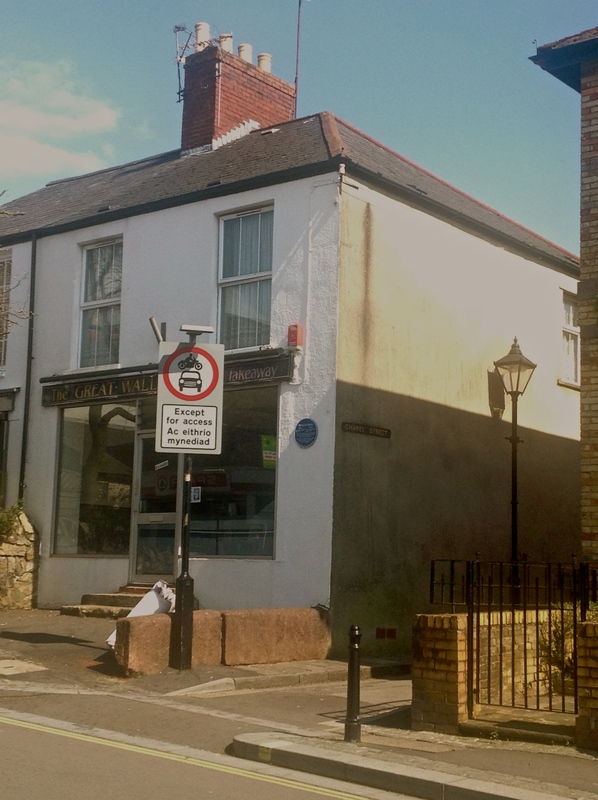 On visiting Llandaff, I located the sweet shop that Roald Dahl found so irresistible as a young child. These days, it’s a Chinese takeaway called “The Great Wall”. However, a blue plaque, revealed by his widow, Felicity Dahl, in 2009 confirms this to be the former site of ‘The Cabin’ as mentioned in “Boy”. To commemorate my discovery, I’d hoped to take a selfie by the plaque, but it was too high up the wall. Instead, I took a selfie in the alleyway to the side of the shop. 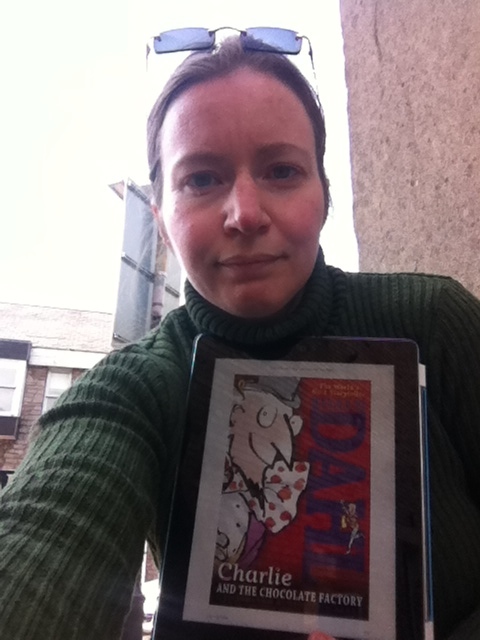 In the photo, I’m holding up the 50th anniversary kindle edition of “Charlie”. Now it’s time to celebrate the anniversary by breaking open a chocolate bar, hoping I’ll discover a golden ticket! Kate Hamer is a writer inspired by nature, music, culture and Celtic mythology, who reads avidly. She started reading from a young age, quickly discovering the magic of storytelling. She writes short stories and poems, and is writing her first novel. Find her at her blog katiehamer.com (Born Again Writer) or on Twitter @katiehamer1. I didn’t know. What an absolutely lovely post. Of course,now I’m going to have to read aloud Dahl to my kids in my best S. Wales lilt now. Please forgive me.